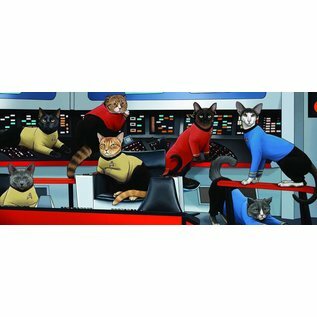 Captain's log: We have entered a galaxy where beloved illustrator Jenny Parks has conjured an astonishingly vivid homage to the original Star Trek series with an unexpected twist: a cast of cats. 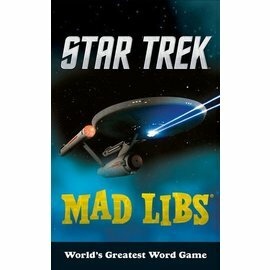 Featuring a hilarious new take on iconic characters and scenes—from Kirk in the Captain's chair to Spock offering his Vulcan wisdom—this eye-opening adventure stays true to the tone of the classic TV show. 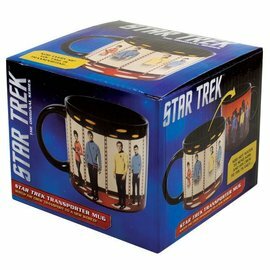 Playful, loving, and from a strange new world, Star Trek Cats is the perfect gift for fans of, well, Star Trek and cats. Kirk out.